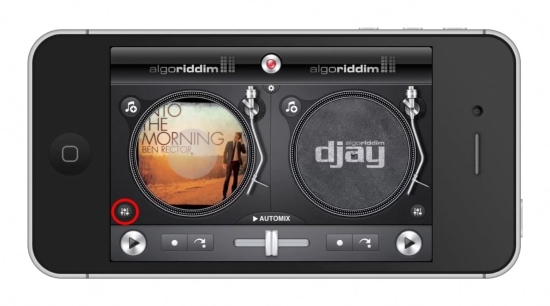 In this tutorial you will learn how to use DJ App for iPhone. This app is great for creating professional and on the go mixes. 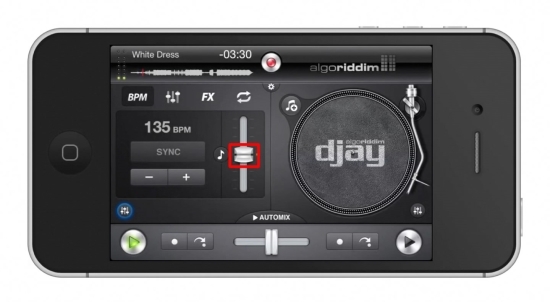 It offers cross fade features, transposition, and scratching sounds with the flick of a finger. 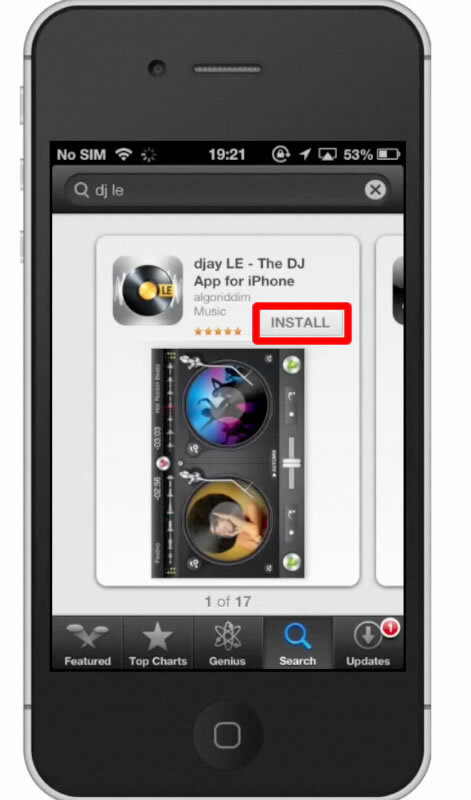 The app we are going to need to download is called, “djay LE”. 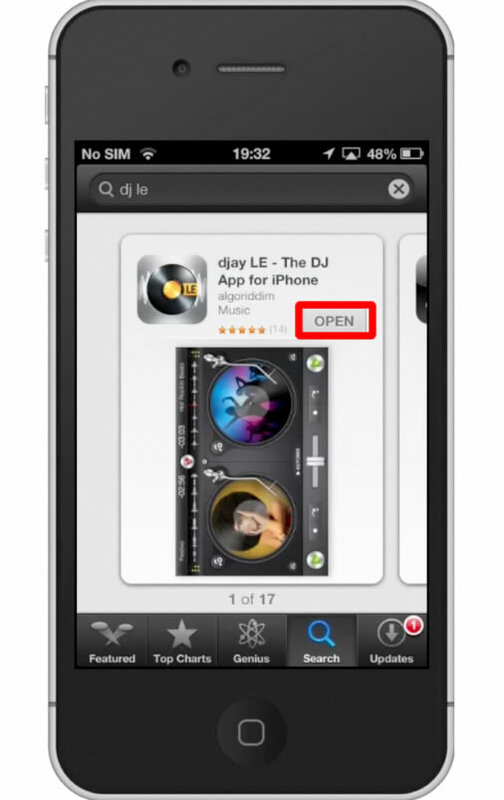 Once you open your app, turn the iPhone to landscape mode so you can see both turntables in shot. This will allow you to load 2 songs to begin crossfading. In the end, there will be one song per turntable. 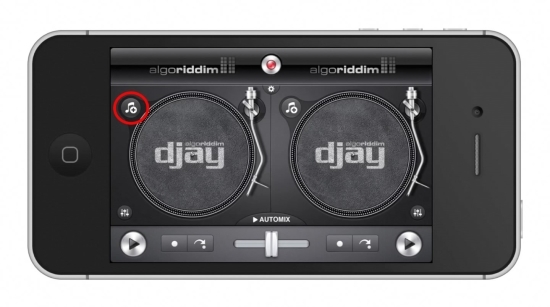 This icon is located to the upper left of each of the turntables. 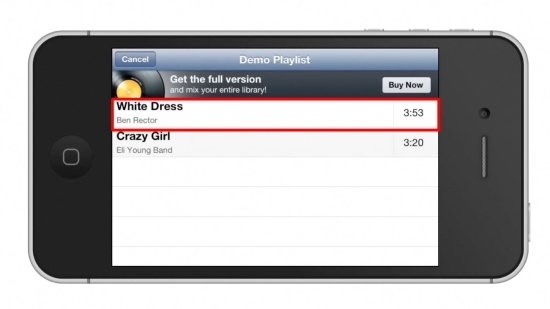 You will be tapping this to add songs to the mix. 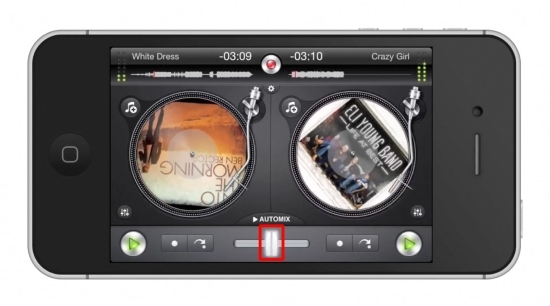 Once you tap the song, it will automatically load onto one of turntables and start spinning/playing. 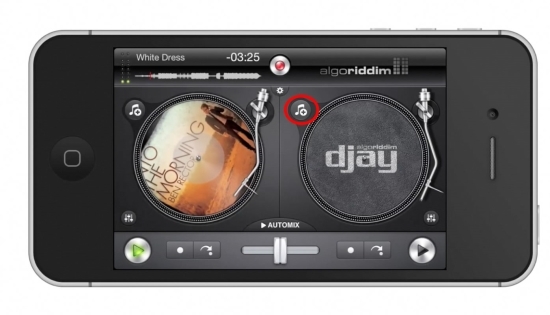 You can transpose the song by adjusting the fader next to the turntable. Transposing means to change the key of the song, either to a higher or lower key. Move the fader higher for a higher key, and lower for a lower key. Add another song by pressing the music/plus icon next to the empty turntable. Now make sure both play buttons are activated. These are located at the far right and far left at the bottom navigation bar. Crossfade between the two songs being played by moving the horizontal fader either left or right. You can create some great mixes by experimenting with how much you move the fader.